ST. GEORGE — Two immigrants living in the country illegally were arrested on a variety of charges Sunday after pulling a gun on the beaches of Sand Hollow during a confrontation spurred by an alleged love triangle. 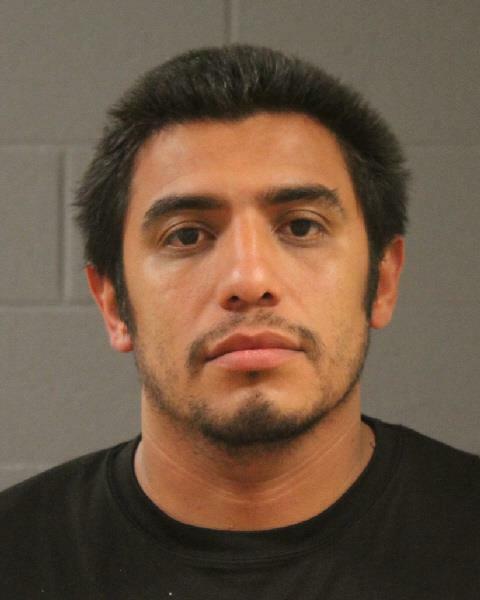 Officers responded to Sand Hollow State Park on a report of two Hispanic males with a gun assaulting another man on the beach, according to a probable cause statement filed by the Utah Department of State Parks and Recreation in support of the arrest. Witnesses reported that the two Hispanic males were driving a black Honda Accord with a female passenger. 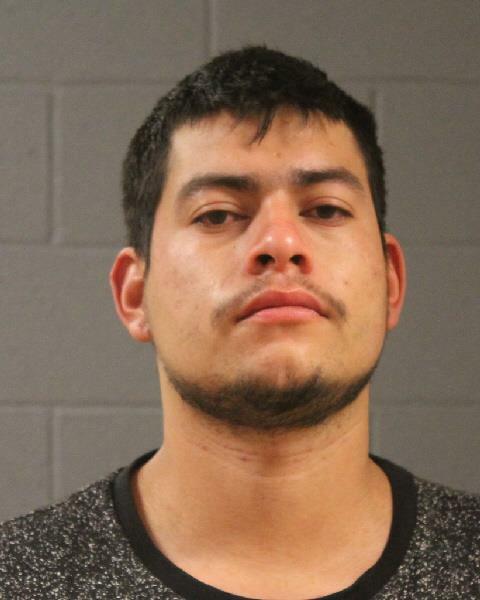 Officers located the vehicle and spoke with the driver who was identified as Mario Esteban Zepeda-Palma, a male passenger identified as Juan Carlos Pacheco-Martinez and a female passenger identified as Mejia Florectia, the arresting officer wrote in a sworn statement. When asked if there were any weapons in the vehicle, all three individuals denied having any weapons, the report stated. After obtaining consent to search the vehicle, authorities located a backpack belonging to Pacheco-Martinez, according to the statement. Inside the backpack, officers located a loaded .22-caliber revolver wrapped in a towel, methamphetamine and two pipes with methamphetamine residue. Falsified social security documents were also found in Pacheco-Martinez’s wallet inside the backpack. Pacheco-Martinez allegedly admitted that the handgun was his and that he had purchased it from an unknown party for $200, the officer said. When questioned about the incident, witnesses told authorities that four males were playing soccer on the beach, the report stated, when Zepeda-Palma showed up and began threatening one of the male soccer players. The confrontation had allegedly ensued over Florectia, who had previously dated the male but was now dating Zepeda-Palma, the report stated. During the confrontation, Zepeda-Palma reportedly lifted up his shirt and brandished a black handgun toward the male subject. After reviewing information on Zepeda-Palma and Pacheco-Martinez, the two were discovered to be immigrants illegally in the country, according to the statement. The duo was arrested and transported to the Washington County Purgatory Correctional Facility. The Washington County Attorney’s Office filed an information in 5th District Court accusing Zepeda-Palma of second-degree felony possession of a dangerous weapon, third-degree felony aggravated assault, class A misdemeanor drug possession, class B misdemeanor drug paraphernalia possession and an infraction for not obtaining a valid driver’s license. Zepeda-Palma is scheduled to appear before Judge Jeffrey Wilcox in 5th District Court Thursday for his initial appearance. Prosecutors charged Pacheco-Martinez with second-degree felony possession of a dangerous weapon, class A misdemeanor drug possession and class B misdemeanor drug paraphernalia possession. Pacheco-Martinez is scheduled to appear before Judge Eric Ludlow in court Tuesday afternoon. As this report is published, the two remain in police custody, according to booking information. So these two, out of 5, were the only illegal immigrants? Send them back home by plane. Fly out over the Pacific Ocean, head south. After passing the Mexican boarder, stay five miles away from shore, open the door and let them out. Hey, they were returned to Mexico weren’t they? All we ask of people who want to come here is to follow the rules of immigration, the laws of the land, and learn English. No more than any other country on this planet. YEAH WHAT ALLIE SAID. ! Hah….they both will be released on bond, and guess wha??…..DISAPPEAR!! St. Geezy=Sanctuary City. What a joke. I am in total agreement with Allie! The others were probably illegals too but there was no reason to ask for their identification or they probably ran when officers came. Question? NOW if Third Party was like just do it does that not mean she’s also one involved and for being involved with people like that shouldn’t she bee arressted? Just saying. This women don’t have a really good reputation in the Hispanic community and has caused a lot of these similar situations, She should be investagated and if part of the love trio deported to Mexico. The majority of the Mexicans born here in US don’t speak Spanish well. ladybugavenger….I beg to differ with you. I am an American of Mexican descent born and raised here in the good ole’ USA. I have 100% Mexican blood running through my veins, so yes….I am a “Mexican born here in the US…”. I served my country in the US Army, and retired from a successful 16 year career in law enforcement. I did not learn the English language till I entered the second grade. Yes, I am bilingual in English/Spanish. I consider my primary language to be English. However, I do speak Spanish extremely well…I also write and read it proficiently. And there are many, many more like me. Your blanket comment has no basis and is irrelevant. And I am 100% in agreement with the comment posted by Allie above. I am sick and tired of people asking me how I could feel that way about “my people”. These are NOT my people! I am an American of Mexican descent. I am NOT a Mexican. These illegal/undocumented people should not be in this country illegally. My grandparents and great-grandparents came to America the correct way. The illegals should too. It is a sad fact that St.George is a sanctuary city and it’s residents have to tolerate the drugs, trafficking of other illegals, burglaries, and other crimes associated with these people. Not to mention the taxes that it take to support them. Thank you for your service. I like Mexicans. I know a few. A few in my family. I even know some illegal ones with fake immigration card. Fake social security. Fake fake fake. Can’t they just come here legally or at the least now that they are here get legal! I don’t care how hard it is, I’m a citizen, I’ve been through hell, it was hard, but I conquered it, so can they. It makes me angry that they feel like they don’t have to obey the laws of our land. I wouldn’t want to take Gods glory. I only conquered because of my faith. To God be the glory. Thank you Jesus! Ron, such a good response to the odd, ignorant comments of ladybugavenger. Just a side note, the U.S. is the country of origin for 77% of all incarcerated inmates in this country. Only 15% are from Mexico. Thanks for reading my comments….more to come, I’m just bitter that an illegal alien at age 16 got my 15 yr old daughter pregnant. They aren’t together anymore but she is now 20 with 4 1/2 yr old twins. She never asked for child support because he’s illegal. He has fake documents and all this was uncovered when my daughter had twins. He just got married to a citizen and he does take care of the children. It’s a real mess. It made me feel like he is nothing but a lie. I had to separate myself from all of them because I don’t like that he has a fake social security number and other documents. It’s against everything I stand for! I agree. But the good old boy network needs their slaves! Also it’s time Utah stops giving Illegals drivers licenses! You nailed that! Wonder whose SS# they stole? Remember the ladies in SLC that lost their jobs because they reported that illegals were using stolen SS#,s and collecting benefits. Yeah,if you see something ,say something and lose your job. They also rewarded the illegals with drivers licenses. communities like we have it will be difficult to undo the damage; gangs, drug users and dealers, graffitti, burglaries, more violent crime. Wouldn’t that be a nice outing for your family at awesome Sand Hollow if those animals decided to start shooting. We had better support our law enforcement for all of the crap they have to put up with and also let our judges know we expect them to impose the appropriate sentences for every criminal and no more slaps on the wrists. Remember we must have the Rule of Law here or we’ll all become victims in one way or another. This would be a great time for Ed the “journalist” to do a story on sanctuary cities and explain the left’s justification for openly ignoring federal laws as a matter of policy. LMAO ! 422 I’m sure he’s working on it already !